Bell Lager has committed a UGX270 million sponsorship package towards this year’s festival. The announcement was made by Juliana Kagwa, Marketing and Innovations Director, Uganda Breweries Limited during a launch event at Kampala City Hall on 30th May 2018. “Uganda Breweries has supported this initiative since inception in 2012 through our flagship brand, Bell Lager. We look forward to working with KCCA yet again to deliver an even more exciting carnival that will bring the people of Kampala together in a big celebration,” she said. The annual event which is one of KCCA’s initiatives towards positioning Kampala city as a potential tourist destination will run from October 5-7, 2018. Last year, it’s estimated that the festival attracted over 3 million people and is this time targeting even more from across the East African region. The three day festival will be held under the theme "Celebrating 7 years of rebuilding Kampala City". Once again, the festival will feature a concert whose proceeds will be given to charity. Last year’s concert was headlined by Tanzania’s Diamond Platinum. 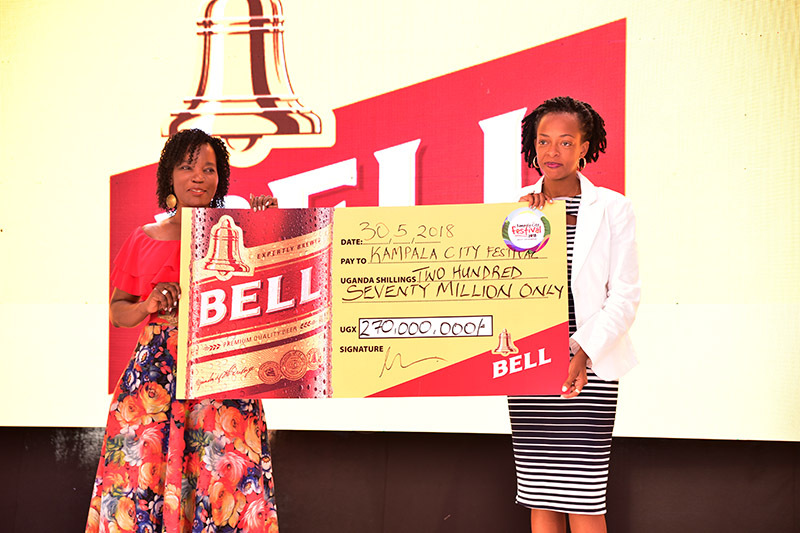 Bell Lager has committed a UGX270 million sponsorship package towards this year’s festival.